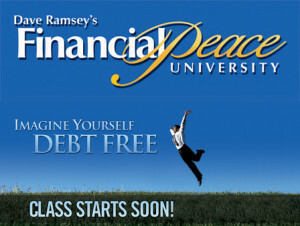 This isn’t your typical “money class.” Financial Peace University is practical, entertaining and fun! Four Million people have changed their lives. The average family completing the course pays off $5300.00 and saves $2700.00 in just 90 days! Learn how to handle money God’s way. FPU is based on more than 800 verses of Scripture and is a proven plan that will work for you. FPU will help you find the hope you have been looking for. It changes everything—your story, your life, your finances. FPU can help you make different choices in making financial changes in your life. Whether you are struggling to make ends meet or you’re a millionaire, FPU has something for you. When action meets compassion lives change. Let us help you change your life. Participated in the 5:30-7:00 pm class. 5:30 pm partners with PBJ with child care. The cost is $95 for the materials. Payment can be arranged weekly or in a lump sum. To sign up contact Pastor Melisa to ensure materials are ready for you. pastor@umcburl.org or 754.8421. As your pastor, I have taught this class multiple times. It changes lives. Mine included.